Even though the Internet is used increasingly for private correspondence, when sending important, sensitive documents, the security of postal mail is still the best choice. Even then, letting your mail carrier just leave important business documents in the mailbox is certainly not ideal in these security-minded times. The USPS' Certified Mail service is there to keep important mailings out of unwanted hands. What is USPS Certified Mail? When you choose Certified Mail by the US Postal Service, you receive proof that an item was presented for mailing at a Post Office. It also comes with a tracking number for online delivery confirmation, and verification that the piece was indeed delivered. An additional service sends back a signed receipt confirming delivery. However, going to your local Post Office and laboriously filling out and affixing the Certified Mail forms - if they even have them - is costly, time-consuming, labor-intensive and mind-numbingly tedious. And let's face it, it's time your office manager could put to more productive use for your company. Especially if you have a large-volume office, such as a law firm or medical practice, which needs to send out high numbers of certified packets each week. Adding Return Receipts to the mix adds even more time onto the mailing process. Then, after mailing, the chore still isn't over. There's the voluminous records-keeping for all of the different tracking numbers! Why put up with the hassle and headache? Try the latest online postage, which can do that tedious work for you! With the online printing Postage service, you can purchase the Certified Mail and Return Receipt forms in two easy-to-use formats: either as standalone adhesive labels or integrated into convenient "print all at once" envelopes. 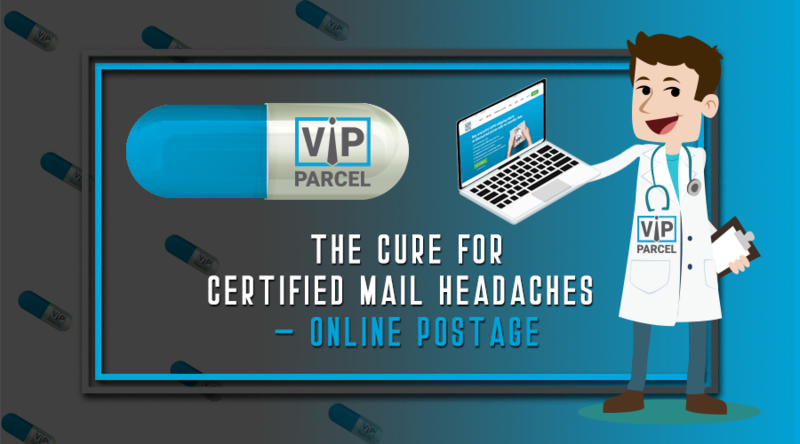 Either way, the online postage will complete the necessary info in one simple step as you compose your envelope - then, either affix the label right to the envelope, or if using an integrated mailer, print the info right along with your postage. It's that simple. Further, all the tracking is automated by the online postage tracking system. Need to know if your envelope has made it to its destination? You just need to add tracking number into our website. Right there, on your computer screen is the info you need.